If it wasn’t for the tripods and highlighter-yellow t-shirts, a Western North Carolina surveyor could easily be mistaken for a hiker. Lace-up boots, Nalgene bottles and pockets stuffed with Clif Bars – a typical day at work for a professional land surveyor may be a 43-acre boundary survey disguised a day hike. One difference, of course, is that most hikers don’t have a 14-inch machete strapped to their belt, slapping against their leg with every step. But what’s all this “professional” business? Why does every surveyor seemingly go out of the way to include PLS (Professional Land Surveyor) after their name? As it turns out, it’s a designation worthy of capitalized letters and bold font. Every state has different requirements, but in North Carolina, individuals are required to have a combined six years of education and/or experience before sitting for the exam, which, incidentally, takes two days to complete. And while land surveying may not be the world’s oldest profession (I think we all know which one is), it’s likely ONE of the oldest, dating back to when humans first began building structures. If you’ve ever bought a piece of property you may be familiar with the terms boundary survey and ALTA/ACSM survey. A boundary survey, as the name suggests, retraces the deed to establish the boundary of a parcel of land. 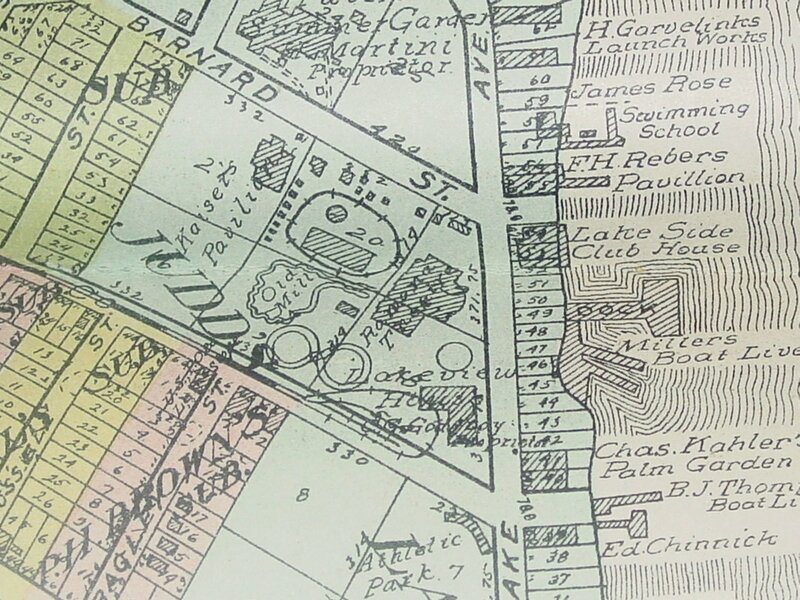 Property lines and corners are marked, and a legal description of the property is written using landmarks and other defining features found on the property. An ALTA/ACSM survey goes one step further. An ALTA/ACSM survey (American Land Title Association and American Congress on Surveying and Mapping, respectively) includes a legal description which adheres to standards established by ALTA. By following these standards, the boundary survey and resulting legal description serve as a “survey endorsement” on the property owner’s title policy. These surveys are not uncommon for commercial property surveys. A mortgage or foundation survey will show structures located on your property, any easements to adjoining properties, and any encroachments between you and your neighbor. Surveyors are required to do their own deed research. Before deploying to the field a file is prepared containing deeds for the subject property and all adjoining properties, any plats of record, and perhaps some older deeds that may be of use. It typically takes an hour to compile a file before even starting the survey. If the underlying deed description contains issues of accuracy or interpretation, it may be advisable to record the survey. Recorded plats require the review and signature of the permitting authority. It then goes on record at the County Register of Deeds office, sometimes referred to as Registrar. 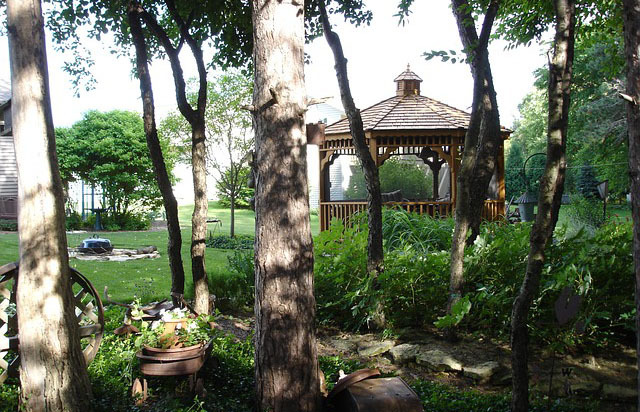 Beyond the boundary survey, the property owner may desire to subdivide the property. If it is in a county or municipality that is zoned, this will require compliance with the local zoning and subdivision code. These codes have become quite complex. For example, the Henderson County land use ordinance is 350 pages. Kudzu Survey Associates can help navigate the process. Your lender or attorney may require any one of these surveys as part of the lending process. 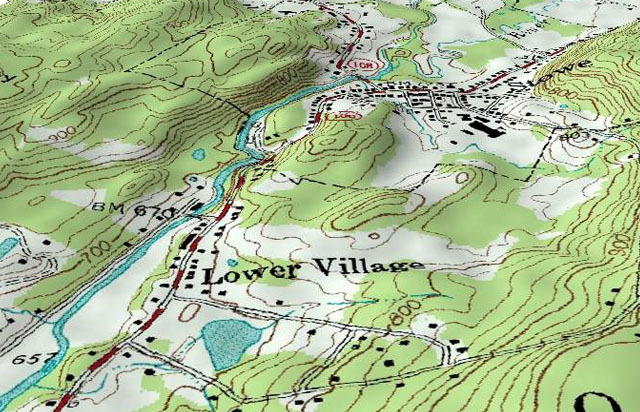 “Topographic surveys are more common in Asheville and the surrounding area because, well, we have topography,” explains Steven. Kudzu Survey Associates can provide what is required in two formats: on a 24x36 plat and in digital format as an AutoCAD product. Topographic surveys are used by architects, landscape professionals and golf course designers during the planning and design phase of a project. With a topographic survey, points on a piece of land are measured for elevation from which contour lines are generated. The topographic survey is then used to set the elevation of the structure, select roadways and access points, and identify drainage requirements. The permitting authority may require a topographic survey for the verification of the steepness of the slope before construction begins. An as-built survey may be requested by a builder or local authorities to ensure that the construction, as laid out in the design process, is proceeding according to the plan. The as-built survey documents the location of recently built structures or construction improvements. The county zoning board may require a certain number of as-built surveys during the construction phase of the project. Occasionally, a property owner is told they are required to purchase flood insurance. If the property owner believes that their property was inadvertently placed in a SFHA (Special Flood Hazard Area) as established by FEMA, a LOMA (Letter of Map Amendment) survey can determine whether the structure is on higher ground than the flood baseline. If it is, such an amendment to the NFIP (National Flood Insurance Map) will remove the property from the flood hazard zone and the requirement to purchase flood insurance. Similarly, the property owner may be required to provide a flood elevation certificate to a permitting authority. Kudzu Survey Associates can provide both documents, usually with a minimal amount of field work. These surveys are referred to as ‘vertical surveys’ because they show features in relation to each other vertically. Buncombe, Henderson, Haywood and Madison Counties are experiencing a significant population growth. And the North Carolina Budget and Management Office projects that this population growth will continue for several years. As a result, there is an increased demand for housing and infrastructure. This will only expand as Lonely Planet has named Asheville the #1 destination in the US in 2017. Professional land surveyors, working with builders, realtors, real estate developers, local zoning boards, attorneys and architects, are an integral part of supporting this growth. Whether it’s involvement in subdivision planning and design, or doing a commercial or residential property survey, land surveyors use their skills and knowledge to put the final stamp, so to speak, on a project. And unlike many things in life, this stamp lasts a lifetime. Feel free call us at 828-713-0942, email us, or use our contact form. We're located in Weaverville, NC and cover the surrounding counties. Remember thinking in high school geometry class that you were wasting your time? That no one uses geometry in the “real” world? Well, if you decided to become a land surveyor, your time wasn’t wasted. Land surveyors use algebra and trigonometry in the form of coordinate geometry when calculating bearings and distances to create survey maps. On large projects, a land surveyor might also perform a least-squares analysis to ensure optimal precision.